Today I want to discuss how can you have really healthy teeth, and how can you make sure your children have healthy teeth. So let’s take a look at some of the lifestyle components that lead to a healthy, dazzling white smile. One thing people probably never associate with good dental health is sunshine. You see, sunshine helps us produce Vitamin D, which is the main hormone that causes the production of osteoblasts which lays down new bone. So one of the best things you can do is get out into the sun to lay down and regenerate your teeth. Now obviously you want to avoid artificial sweeteners, processed foods, all the types of things that can decay your teeth. You want to make sure you have a balanced diet with quality nutrition so you have all the nutritional components to not be calcium-deficient. 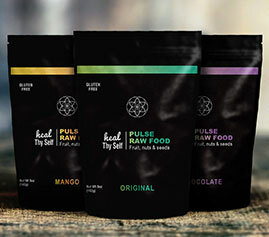 You know, one of the products I’d recommend, is my Heal Thy Self Greens because it builds your blood, and your blood is what builds everything else. It’s also really high in calcium. There are a couple of foods that act like a toothbrush when you eat them. One of the best things you can do is eat an apple. Eating an apple strengthens your gums and is really good for your teeth. It cleans everything out. Another one is celery. Celery contains a high amount of sodium that is needed to produce and lay down calcium as well. Celery also has Vitamin K, which is a key factor for solid and healthy bones. Now the cool thing about celery is when you eat it, it cleans your entire mouth and acts like dental floss. If you eat just one stick of celery a day, it’s like flossing your teeth and cleaning them. I know most of you probably haven’t heard this but eating an apple a day keeps the doctor AND the dentist away. Same with celery. If you already have a bacterial infection, gingivitis or major dental problems, doing a salt water gargle – taking salt water, a high amount of Celtic or Himalayan salt, rinsing it in your mouth and spitting that out – three times a day, will kill the infection and help with the state of your teeth and bad bacteria. For whitening and oral hygiene, I recommend a good quality toothpaste that doesn’t have fluoride or toxic chemicals, but just a natural toothpaste. Then I recommend using charcoal. I use activated charcoal and it comes from coconut husks. Charcoal is actual minerals. It’s the leftover bits after you burn it all down. What I do is put a natural toothpaste on my brush, dip it in charcoal and then brush my teeth, and it’s fully black. The charcoal locks all the calcium and minerals into your teeth. It detoxifies everything and whitens your teeth with one brush. If I see a little bit of yellow, I brush my teeth once and I can see the difference. If I brush my teeth two to three times a day that same way, I can see a big difference. I don’t use charcoal every single time. I might just use regular quality toothpaste. I sometimes make my own toothpaste with just bicarbonate of soda and essential oils, typically wintergreen, peppermint or clove essential oil. These are fantastic for healing the gums and killing pain. So I change up what I brush my teeth with. So to recap, eating the right types of foods at least once a day, building nutrition, building blood, good dental oral hygiene and getting out into the sun. 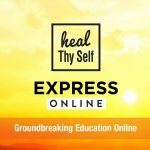 Now, if you want to take it to the next level, I have a programme called the Heal Thy Self Express Online. I teach you activities to rebuild the gums, to help nourish and rebuild the teeth; actual physical activities that heal your teeth and your gums. There’s lots of other amazing content that will teach you the nutritional foundation so that you and your children can have healthy teeth for the rest of your life. Why do people have such a fear of the sun? Can you build muscle on a plant based diet?